As we celebrate the mid-autumn festival today, in totality, we will also see a lunar eclipse. Chinese culture foundation anchors in the universe with harmony. There is an ancient regime which cycles in Chinese culture, this regime never changes. No country can order this regime to change because it is deeply rooted in the spirit of the people. This culture is our status quo. No DPP independent Tsai can change the status quo. This is despite atheist Communism in China mainland in which Mao believed he could fight God and be above the universe. The same applies to Taiwanese. For all of the clamoring to deny Chinese identity, the Taiwan DPP independence faction is quiet and is not dispensing hateful remarks on Moon festival. 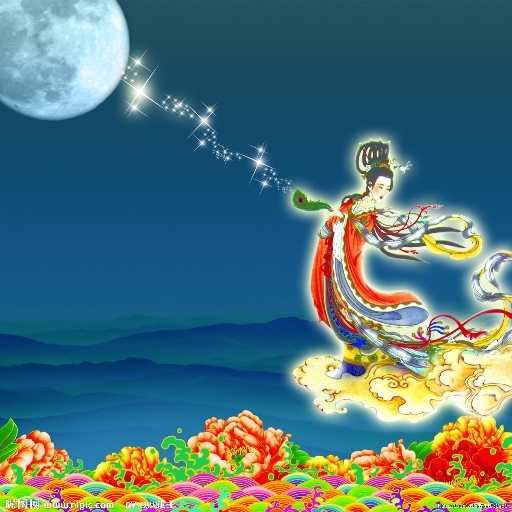 Despite the Communist propaganda machine on the mainland, and the Taiwanese hate towards Chinese culture, neither can destroy the Lunar Moon Festival. 1. Taiwanese are in denial of reality about any pact signed in relation to WWII, such as Cairo Conference, Potsdam Agreement. 2. They believe Taiwan only belongs to local people who were in Taiwan prior to 1945 when Japan surrendered and concluded their 50 years colonial rule. 3. Taiwan mentality is that they are ethnically separate from Chinese, and Taiwan must rise up to oppose minority Chinese pigs rule and slaughter them as Japan military did in mainland China, so they can found their own Taiwan Republic. In the name of independence, Taiwan colonial militants have carved into Nationalist democratic institutions. As Japan colonial subjects, Taiwan was on the side of fascists and has no accomplishments to show. Indeed the Nationalists great works cannot be overshadowed by the Taiwanese under Japan rule. Taiwan did have a resistance movement against Japanese control. KMT's democratic government promoted underground Taiwan youth resistance movement, and enlisted them to Taiwan KMT organization, but this record has been obscured by people like Tsai who want to stir up hate so that she can be the Taiwan leader. Taiwan locals were promoted to be in broadcasting companies and TV producers. They were sent as liaisons to Tokyo. In 1951, ROC government sent personnel to work with US military in Japan headquarters. In 1954, Asian Broadcasting Union was established and China Broadcasting became a member. An important key person is Mr. Weng Binrong. This should clear ROC's name of not promoting Taiwanese locals. David Dean was half right. The democratic linage promoted Taiwanese locals, however, Chiang family had his second son Chiang Xiaowu to take over China Broadcasting, which was sold by former ROC president Lee Tenghui to build a private hospital, he was the chairman. Editor’s Note: China Broadcasting Company was founded in mainland China to promote the resistance war against Japan. So America forced a Japan colonial conscious Lee to be the successor to Chiang Chingguo. All hell went loose and Pandora’s Box was opened. After Lee’s 1988-2000 12 year reign, Taiwanese was lawless and could even kidnap South Africa ambassador if not for dedicated diplomats intervention. After CSB 2000-2008, ROC was further torn down, and depleted original good works. Today, the sun, the moon, and the earth all align together. Some may carry Tang Dynasty prescience poem that when witnessing a super bloody moon, the country will see bloodshed. As we examine the history retrospectively for the past several decades, this portends to the country being in upheaval. Taiwan after 20 years confusion in identity, and alteration in education department by DPP ruling administration, has created historical distortions in covering up Japan atrocity and Taiwan youth confounding hostility. But only the Moon Festival, Taiwan DPP has not mastered to delete or trash it. That is only because Japan still honors it. We want Taiwan to reform, though DPP has rooted out Chinese culture from the textbooks, and the youth are in jeopardy. While we celebrate Mid Autumn Moon festival, we would like the youth’s soul not to be eclipsed. After building up prejudice for decades against the Nationalists, a historical confluence is coming up on January 16, 2016. No matter who wins, the autumn festival will continue. Neither Taiwan DPP reactionaries nor Mao Communists can delete the Moon Festival as it is anchored in the ethos of the culture.